A cloud-based customer support software that offers all in one solution for business needs to deliver exceptional support. Freshdesk is suitable for service providers such as Insurance, Healthcare, Real Estate etc. It offers a host of features and customization functionalities like multi-channel help-desks, ticketing, SLA management, Self Service Portals, SEO ready FAQ section, smart automations, complete customization capabilities that boost productivity. It is priced affordably and is life-time free for the first three agents. How much does Freshdesk cost ? The pricing for Freshdesk starts at $25.0 per user per month. Freshdesk has 4 different plans such as - Blossom at $25.0 per user per month, Garden at $44.0 per user per month, Estate at $59.0 per user per month and Forest at $99.0 per user per month. Freshdesk also offers a Free Plan with limited features. Disclaimer: The pricing details were last updated on 17/04/2018 from the vendor website and may be different from actual. Please confirm with the vendor website before purchasing. Pros: This software was easy to setup. It serves the purpose of a virtual help desk well. Customer support is very eager to help. The value is superb. Cons: The functionality of FreshDesk leaves some to be desired. Some of the way things are done are annoying. They're not show stopper, just annoying. Things like entering the time performed on a ticket is on separate page than the ticket itself. Overall: As my first help desk solution, FreshDesk definitely fits the bill. Great value, good impressions. However, because of some of the shortcomings, I will still be looking for a more superior product. 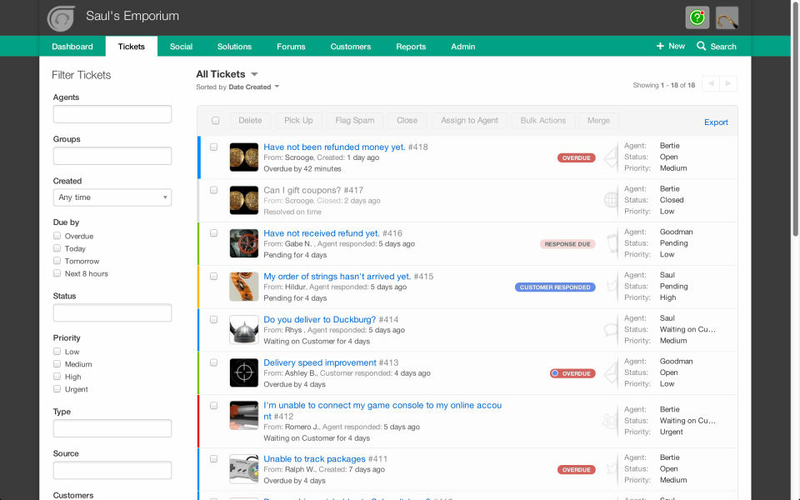 Pros: * Its a very user friendly ticketing tool and very helpful as perspective of tech support persons. * Easy to maintain all the ticket records. * Easy commenting option and reply option to track the tickets. Cons: * Provide some colour highlighting or sorting option on the basis of priority of tickets. Pros: We respond to customer requests using FreshDesk - it processes requests from the site, mail, social networks: Facebook, Twitter. The service takes into account the effectiveness of staff working with queries. Those who respond faster and more to applications receive achievements. Cons: I can not send notifications to clients, there are no response templates, and sometimes you have to process requests of the same type. I would like to see a better anti-spam system. Pros: Just switched to the Freshworks suite and can anything but recommend Freshdesk when it comes to finding a decent support solution; the helpdoc is also very good. Cons: It still lacks integrations but it will come. Pros: We have been using this software for more than 2.5 years now in our company to assist our consultants, vendors and clients. 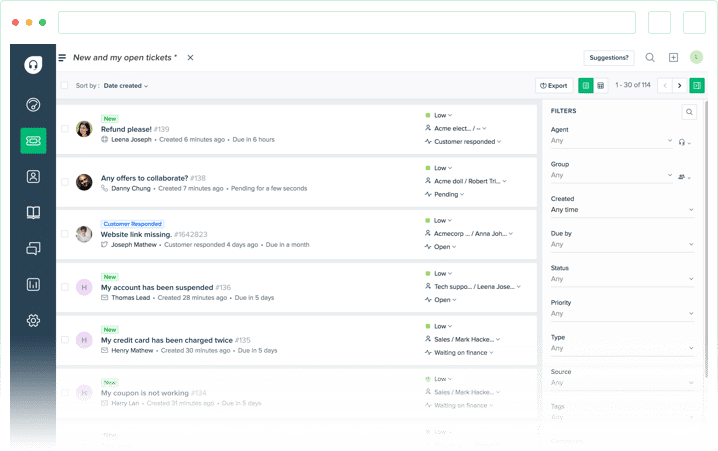 Freshdesk is a cloud based helpdesk system, which allows its users to resolve all day-to-day queries by generating tickets. This ticketing system works well internally and externally. Being a part of the HR Team, we receive approximately 20-30 tickets per day from our employees/Clients and other companies for assistance regarding pay, employment verification, employment letters, leaves etc. The employees send their queries to a common HR Group ID and then we allocate it to the concerned person within the team. The Fresh desk support is implemented by the technical department of our company as well where the internal employees raise tickets in case of any technical issues. The interface is easy to use and simple. It also provides guidelines and prompts for a new user, making it extremely easy to learn and start without much assistance. It provides the option to add a note to every ticket before closing it making it easier to know for the entire team that a ticket is closed. It also keeps a clear and manageable history of all the recently closed tickets. It also provides a feature to export a complete summary of the tickets group wise with categories and subjects, date of receipt and closure. Freshdesk has an in-built contact directory for all internal employees making it easier to allocate copy or forward the tickets. Cons: As per our existing needs, I do not see any cons. I am sure it offers more flexibility at higher prices but so far, it works well for us. Overall: Overall experience has been amazing so far as it is able to cater our day to day needs. Great platform to provide internal/external support. Pros: Freshdesk works seamlessly with Freshchat. 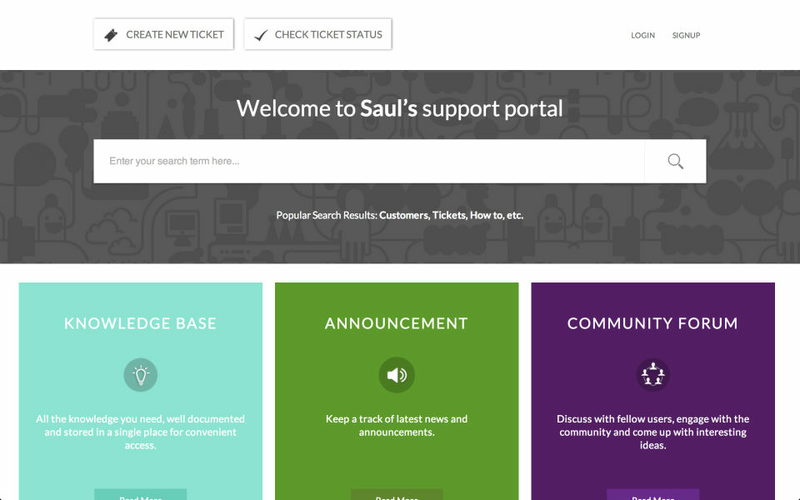 It is easy to browse for tickets, create tickets and email customers. Cons: Sometimes it is hard to find emails in the order that they were received. Pros: I used this software in a company that I used to work before. We searched for a lot of Help Desk Tools but the team decided to go for this one and I believe it was the right choice. I love the reporting features, very intuitive and easy to use, it shows the active, resolved, unassigned and in progress tickets, statistics about the response time, or the agents and how is their development while resolving issues and tickets. You can add forms to get comments about customer satisfaction. Great connection and integration with social media and phone calls, you can get tickets from every possible way you can do support through. You can set up a lot of alerts and rules to know when to follow up a ticket. Also you can group the tickets by priority, so you can know which ticket you should solve faster than others. Cons: I haven't found any cons about this software, the only thing a could recommend is to provide a little more about customization of the dashboard, like colors, themes or background, but to be honest, the dashboard is very clean and friendly. Overall: Freshdesk is a powerful tool that helps speed up the response time of the tickets, increase productivity and you can make sure that no tickets are left behind. Template help reduce reply time a lot for FAQ. Cons: The knowledge base is public so can't put everything in it. We only have one agent and I can't have the ticket automatically assign to me (the only agent). Can only assign the ticket to a department then after the ticket is open, I manually assign it to me. Overall: We use it for a small non-profit organization for the IT support ticket. We use the free version and it covers all our need. If we become bigger, we will definitely upgrade our version. Very cheap for everything it offers. Pros: Freshdesk allows you to quickly view tickets or work orders that have been submitted by a customer. It gives you levels to set the ticket with priority, urgent-high-medium-low as well as when the time frame of completion is, 6 months-1 month-2 weeks-7 days-1 day. This is fantastic for tracking workflow as well as printing reports. Cons: At first it may seem a bit confusing to use the software. Once you are past the learning curve it is amazing! Overall: The School District I work for using Freshdesk for the Technology Support Department. So if a teacher's computer isn't working, they can call our helpdesk or submit a ticket and a field tech will respond to them and come fix the issue. We have set standards on how quickly certain tickets are resolved. The teachers love it because they are getting constant feedback from the tech staff when they run into issues. Awesome product! Pros: I enjoy the ease of use. It's an extremely user-friendly software that requires little to no explanation. Cons: I least enjoy receiving emails for notifications and the fact that tickets reopen with simple responses, but not the biggest deal! This award is given to the best product in our Help Desk Software Category. It highlights its superior quality and underlines the fact that it's a leader on the market. This award is given only to top B2B products and represents the highest possible level of service. It highlights the vendor's extensive knowledge of the industry they are selling to and the needs of their customers. This certificate is granted to products that offers especially good user experience. We evaluate how easy it is to start using the product and how well-designed its interface and features are to facilitate the work process. This award is given to product that offer an exceptionally well-crafted experience with free trial version. This includes both the quality of functionalities included in the trial as well as the ability to evaluate the product based on trial version.